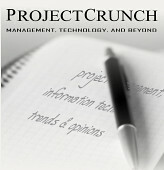 Welcome to ProjectCrunch, the magazine for managers and executives with a focus on information technology. We offer interesting, informative and sometimes controversial articles in the areas of project management, process improvement, and management consulting. The topics range from advanced issues such as IT strategy and software development processes to the latest news from the world of hardware and software. Our contributions arise from the hands-on experiences of our everyday management jobs. Since our authors are mainly seasoned consultants and managers to recruit with decades of experience, the project crunch-quality content than average and often technically very demanding. IT & Project Management: Articles on issues of process improvement, process models and methodologies, project management standards, and industry standards. The keywords: CMMI, SPICE, agility, ITIL, Prince2, V-model indicate the kind of content you will find in this category. Technology: Various articles on a wide range of topics about modern technologies, IT-hypes and systems, such as smart phones, project management tools, programming languages, enterprise technologies, cloud computing, etc. Daily Crunch: Mixed articles and smaller contributions on management, daily management work, business travels, and other general issues that do not fit into other categories. Events: News and field reports on events that affect our priorities, such as conferences, round tables, symposiums, etc. Feedback and comments from our readers are always welcome. You are invited to enrich ProjectCrunch with your feedback. We take every comment and contact seriously, regardless of its form and content. We hope you enjoy our site and look forward to hearing (reading) from you!